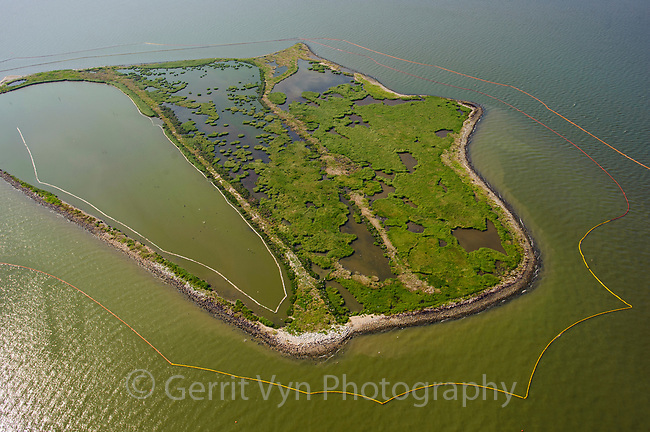 Queen Bess Island in Barataria Bay is a major bird nesting area and was heavily affected by the BP oil spill. Plaquemines Parish, Louisiana. July 2010.